Yes, I know it’s Wednesday. I should be doing a review, but the lighting in our house is bad, and the only light outside is lightning. Yes you heard me right. It is storming bad here. So instead I’ll post what I was going to Monday, but with technical difficulties it didn’t happen. 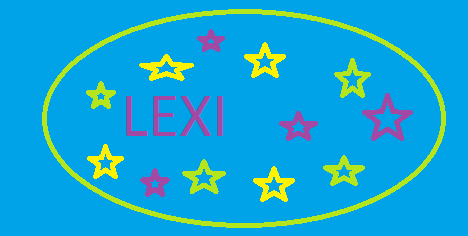 For school I am working on an Indian project. 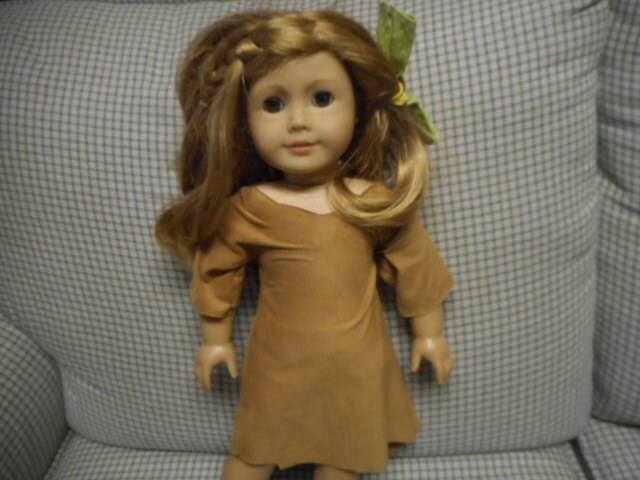 The rest will come later, but for now I am going to show you how I made an Indian inspired dress. First I folded in half, so that each half is long enough for a dress. 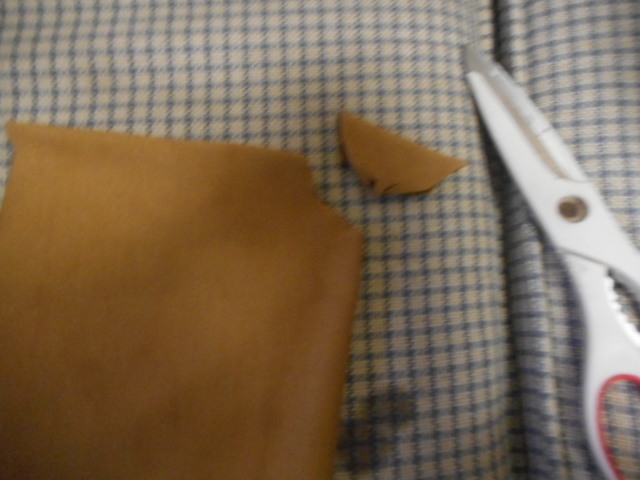 (I am using leathery cloth from the fabric store by the way) Next I cut a neck hole. Don’t cut it too big if you are using stretchy cloth. I tried it on Mia, to make sure the neck hole wasn’t too big. 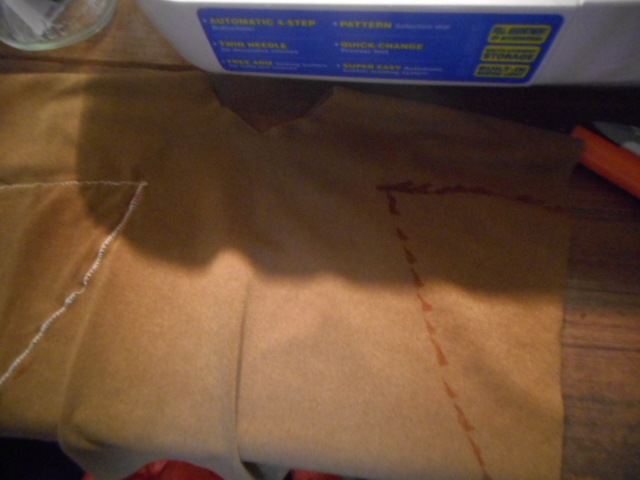 I sewed one side of the fabric and used it to mark the other. I sewed from the bottom corner in, then went outward for the sleeves After I sewed the dress I cut all the extra material off. 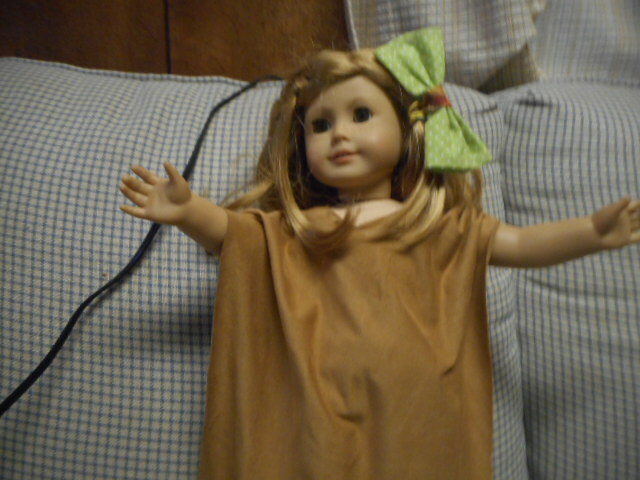 I put the dress on my doll Mia. It fits, and I love how it looks.